Buy this wooden Meenakari designed tea coaster from boontoon & gift it to your loved one. 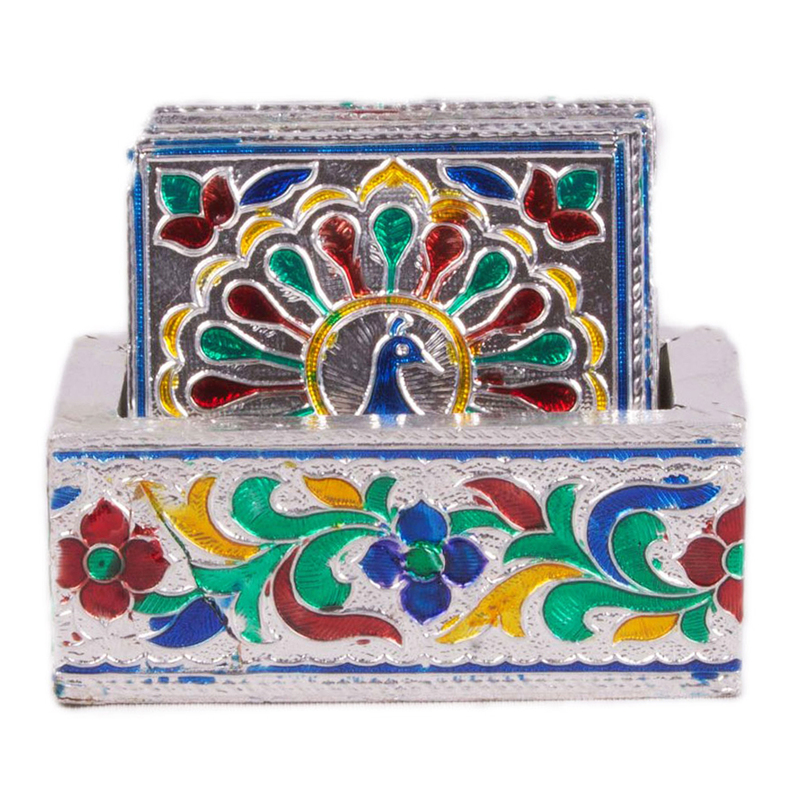 The design imprinted in the coaster worship the tradition of the meenakari art, which is famous all over the world! The wooden Meenakari coaster set is ideal for their ethnic art form & also can be used as birthday gift, return gift or corporate gift. 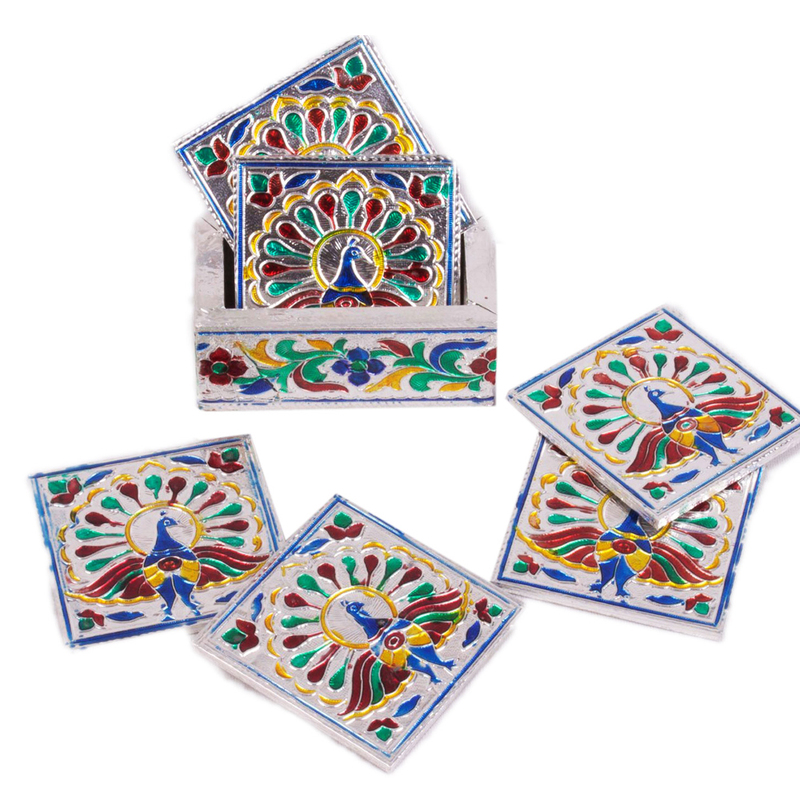 Read More..The coaster box includes six coasters & the convoluted design on the coasters makes them visually opulent. The tranquil meenakari work on the coaster set with a beautiful exaggeratedly hued peacock as a theme reflects a unique appeal. Keep it on your table & enjoy the beauty from distant. If you talk about the quality, then this set of coasters is best in the market. Show Less..